Installing OpenPanel on Rackspace Cloud Server is easy even to a starter if our detailed guide is followed. 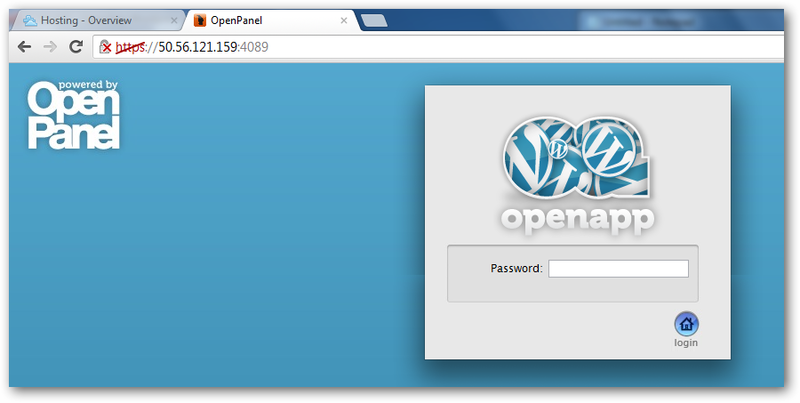 OpenPanel is a free cPanel like Control Panel. 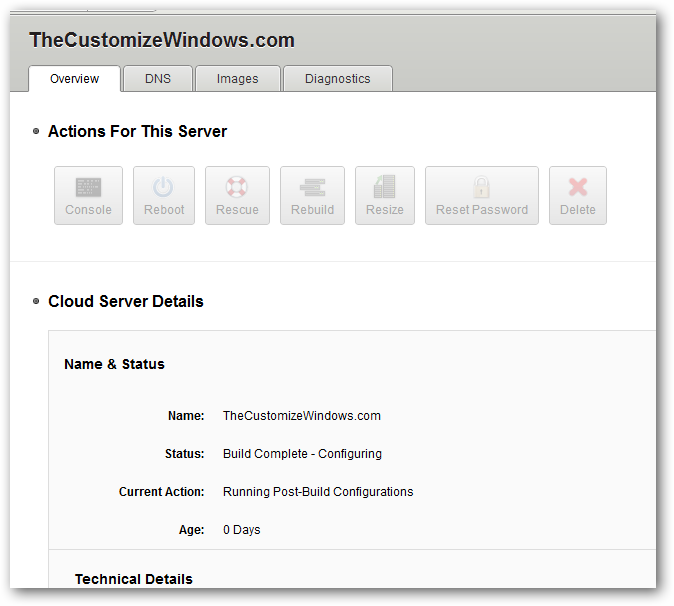 Previously like OpenPanel, we wrote about installing cPanel on Rackspace Cloud server. However, cPanel is not very stable on Rackspace Setup, Plesk is performs better (its obvious, Plesk is from Parallels). But both are premium, although Plesk has flexible plans. OpenPanel is Free and most importantly, OpenPanel has CMS specific OpenPanel versions – that means stripped version of OpenPanel, as they calls it – OpenApp. OpenPanel has such free Control Panel for WordPress too. That means, at around $10 / month, you are now getting a full VPS along with a nice Control Panel, thats too of The Rackspace Cloud. In this guide Installing OpenPanel on Rackspace Cloud Server, we will show how to install WordPress specific Control Panel on Rackspace Cloud Server (because we wanted to test the stripped down version). Although the method is almost same for Installing OpenPanel on Rackspace Cloud Server (full control panel). We will point the differences as well. 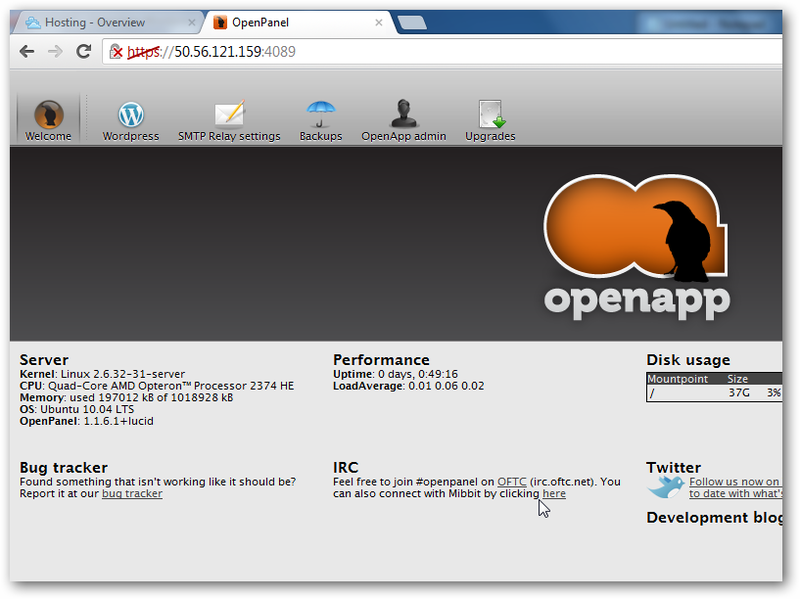 OpenPanel looks lavish, runs flawlessly on 64 bit OS making cPanel ashamed. Well, if you want to test by Installing OpenPanel on Rackspace Cloud Server, keep in mind, the charge is on hourly basis. So, frankly if you create a test server for Installing OpenPanel on Rackspace Cloud Server, you will hardly need an hour and delete it, that would cost few cents. Otherwise we would get ripped ! 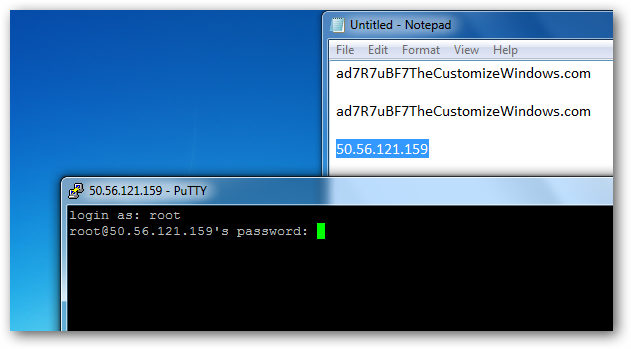 You will need a small software named PuTTY if you running Windows PC. Otherwise for better Operating Systems (Linux, Mac OS etc.) terminal will work for Installing OpenPanel on Rackspace Cloud Server. If you are still using rich man’s Windows OS, kindly scan it with antivirus with latest updates if your project is serious. Yes, you will need a Rackspace Cloud Account. We never use affiliate links like usually people did in HostGator’s brass era. As it is apparent, I am in in my usual quite good mood for writing the tut on Installing OpenPanel on Rackspace Cloud Server, because – simply Open Sources is going to erase paid things. 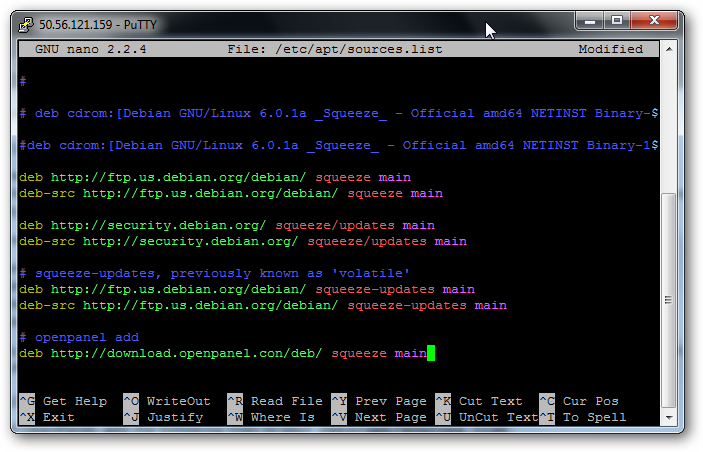 I thought I will install AMMPS at night, but found this OpenPanel is far better (it can support load balancer). Its scalable. I know 99% has excellent knowledge acquired from Newspapers, so – scalable means, you can change the size of RAM at any time. I personally like to use a high RAM during installation for faster work. Normally, 2 GB should be sufficient for the WordPress specific OpenApp. You can scale it down to 256 MB (or even start from) if you are short on budget. 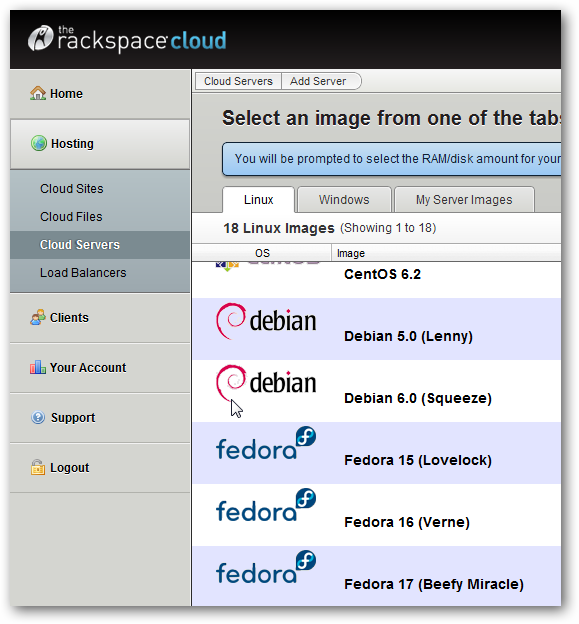 For both Debian and Ubuntu, if I do not mention specially, the commands are same for Installing OpenPanel on Rackspace Cloud Server or Installing OpenApp (for WordPress) on Rackspace Cloud Server. Numbering the steps will probably make you less scared for Installing OpenPanel on Rackspace Cloud Server. There is a space between nano and backslash. Saving in nano is very easy. Press CTRL plus O simultaneously (for Windows), it will show you the files name, simply hit Enter/Return Key. Hit Enter or Return Key. It should be finished without any error. For Debian, if any error arrives, please ask us. It will take time to get installed. If exim4 is currently installed on your system, aptitude will suggest removing it. If so, aptitude will ask you to confirm this. Enter y when asked to do so. During installation, you will be asked about the configuration for mail (named postfix). Set it to ˜internet site™ with all defaults by moving the arrow keys of keyboard and hitting Enter. The installation procedure will ask you for a password. Change the your-password with yours one. You can see, Rackspace uses QuadCore Opteron, think – a cloud VPS with control panel at near 30 dollars ! So we have completed Installing OpenPanel on Rackspace Cloud Server. This Article Has Been Shared 9035 Times! 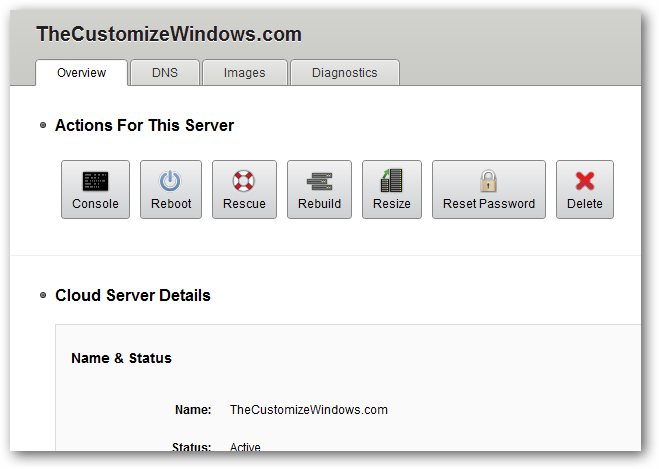 Ubuntu with GUI on Rackspace Cloud Server as VNC Remote Desktop is a guide to install and work on powerful server with up to 48 GB of RAM and GUI from devices. 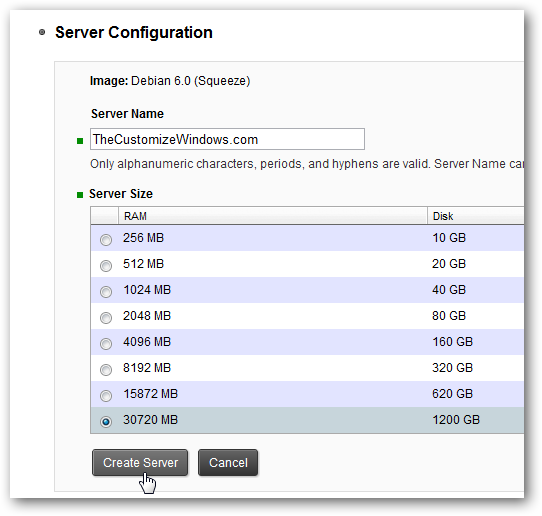 Cite this article as: Abhishek Ghosh, "Installing OpenPanel on Rackspace Cloud Server," in The Customize Windows, July 4, 2012, April 23, 2019, https://thecustomizewindows.com/2012/07/installing-openpanel-on-rackspace-cloud-server/.